To become a product representative you need to purchase an initial order of 6 Synergy Compete 1 month bags at the dealer price plus shipping. As a representative you purchase any of Synergy Competes’ products at a dealer price. Start your successful equine supplement business today! Submit your request through the contact us on the website with your contact information. Upon approval you will be contacted for further discussion. Can I really make money with this? How does it work? Absolutely. To begin you will need to buy a one-time minimum order which consists of 6 each 1 month packages. You will be able to buy product at dealer prices and you can sell at a minimum of suggested retail price which is listed on the website, www.synergycompete.com. You will be issued a coupon code to give to your customers who prefer to buy off the website. Through this process you will receive store credit which you can use during your next purchase reducing your dealer pricing even further. Is there a monthly commitment? No. We do not require auto shipments, no minimum orders once a dealer is established, or network marketing. Your customer base is based on the amount you wish to make. No pressure sales here. How can I sell the product? The sales process is up to you. We will work with providing marketing material at cost. Do I need any sales experience? No. We believe the results seen with Synergy Compete will be the catalyst for your sales. Why join the Synergy Compete representative team? We are a company of reliability and believe in providing the best product to meet our equine athletes’ needs. When you join Synergy Compete you join an equine based family and we love to see everyone succeed in the arena and personally. Secondly, we have an amazing product that will help give your equine athlete the competitive edge. Synergy Compete is a complete equine supplement. Because Synergy Compete has been on the market for 10 years, we have had the chance to see first-hand what a big difference it can bring to the equine athlete. 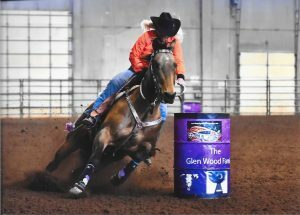 You are not just joining a team, you are joining a strong community of professional performance horsemen and women who are passionate about their equine athletes.